When the dimensions are accepted and acknowledged as “APPROVED” this plan will be the basis of our “FINAL DRAFT“. Please review the planning elements below, items 1 thru 45 which are to be considered by you for what is going to be elaborated upon in further expressing the design’s deeper meanings. use, details not intended to be used shall be crossed out. Steel schedule shall be highlighted indicating soil type, superimposed loads and depth of pool, etc. d) Source of pool electrical power (main or sub-panel). Submit load calcs for sub-panel. e) Statement that pool feeder will be in rigid conduit. 4. Spa – Show spa location/setbacks to property line and electrical detail. 5. Waterfalls-Show waterfall location and height. b) 5’ minimum to house, or per manufacturer’s specifications. In the submission of plans for acquiring a BUILDING PERMIT, LEVEL I planning shall “only” address the requirements necessary in fulfilling those requirements, which are outlined above. Typically, Plan Checkers working within the City / County agencies do not want plans cluttered up with what is often seen as unnecessary information (from their over-viewing prospective) about the nuts and bolts assemblies. Too Much Information (TMI) can result in plans being rejected, requiring some plan sheets to be removed and re-submitted. Therefore, it is imperative that PERMIT READY PLANS sets that are submitted only include the specific sheets intended for that purpose. OWNER BUILDER LEVEL II; plans go beyond the typical agency requirements (when ordering LEVEL II) and provide additional planning sheets, which can allow a Home Owner a broaden knowledge base for engaging the possibility of a hands-on approach. If the Home Owner isn’t inclined to actually engage the installation themselves, then LEVEL II planning can also afford them a better understanding as to the correct procedures and practices that their sub-contractors should follow. 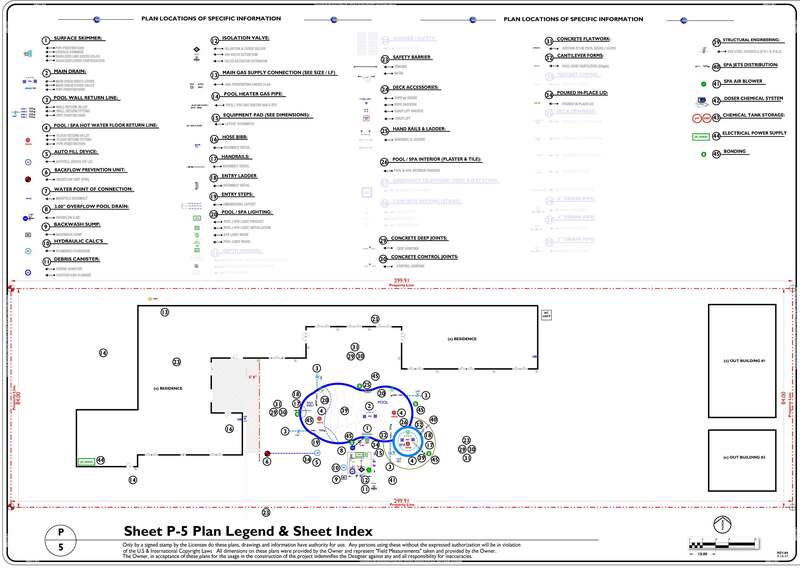 If any of the LEVEL II planning exhibits are pertinent, then please refer to each item by it’s numbered description for the establishment of the component specific design intention. You may review this information below and respond on the webform, providing us with your input / comments on the form at the bottom of this web-page, thank you!